To spruce things up, I'll be using a mod from dev Hamzah Malik, who also created the awesome Status Bar Text mod. His latest work is called Rainbow Bars, and it will allow us to apply different colors to the navigation bar, as well as the individual soft keys. Since this is an Xposed mod, you will need to be rooted with Xposed Framework installed in order to use it. 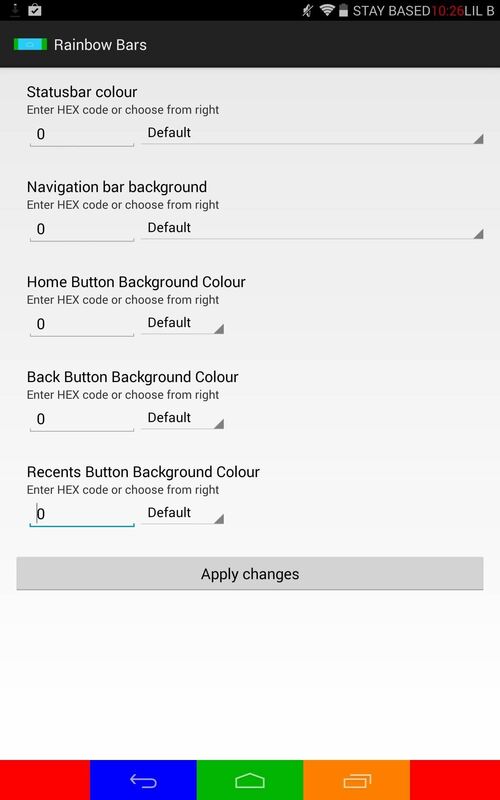 Open up Xposed Installer, head to the Download section, then search for the "Rainbow Bars" module. Select it, scroll down, and tap Download. Alternatively, you can download and install the module directly, just make sure to have "Unknown sources" enabled. After installing the module, make sure to activate it and reboot your device. 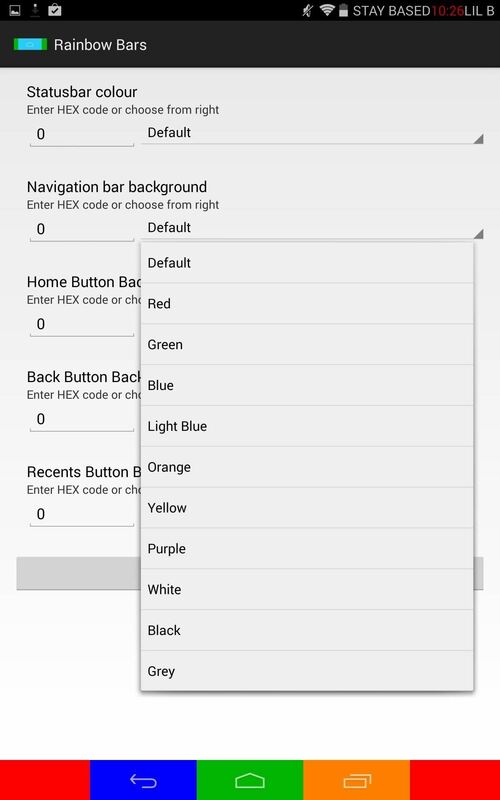 Open the app from your app drawer to begin adjusting your nav bar colors. You can select from some basic colors that the mod provides, or enter your own hex code (you can grab a hex color from here, or use the Color Picker app). Once you have your chosen colors set, tap "Apply" and reboot your device. Unfortunately, the status bar colors are not yet working for our tablets, but the dev is aware of the bug and working to fix the issue. Your navigation bar will now look immensely different from stock, with a simple mod that definitely adds some fun to your Nexus 7. With baseball season in full swing and the World Cup just around the corner, this is a great mod for showing off your team spirit. Or match your tablet to your school colors, your custom wallpaper, or any of your favorite color combinations. Give the mod a shot and let us know what you think in the comments below.